Will 2018 be the year when Apple HomeKit smart-home accessories finally take off? With CES® 2018 kicking off in Las Vegas on January 9, Belkin fired one of the first volleys intended to put the Apple HomeKit community on notice: They announced their $40 Wemo Bridge, a cost-effective way to connect legacy and current Wemo accessories with the Apple HomeKit ecosystem. Wemo accessories, including the popular Switch Smart Plug, Insight Smart Plug, Mini Smart Plug, Wi-Fi Smart Dimmer, and more can be integrated with HomeKit and managed with the Apple Home app—which has been pre-installed on the Home screen of every iOS mobile device since the iOS 10 upgrade. Not much larger than an Apple AirPods charging case, the $40 Wemo Bridge brings Apple HomeKit and Apple Home app integration to Wemo accessories. Image: Belkin. 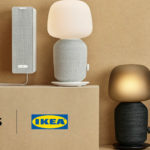 That’s a boon for current owners of Wemo accessories, who previously had to use the island-like Wemo app or integrate their devices with another smart-home hub, such as the Samsung SmartThings hub. Typically, accessory manufactures have had to integrate a rather costly Apple HomeKit chip into their products to enable HomeKit compatibility, which meant that development and chip engineering cost got passed on to consumers. But with this move, Belkin has minimized that cost by moving a single HomeKit chip into their Wemo Bridge; Wemo accessories communicate with the Bridge through a pure software layer, then the commands get passed on to the Apple Home app by the Bridge. This connectivity with Apple HomeKit also brings with it the capability to control Wemo accessories through the Apple Siri voice assistant. But we think the presence of Wemo accesories on the screen of the Apple Home app is likely a greater benefit for homeowners, as we have found Home to be among the best touch-screen interfaces for controlling and managing smart-home devices. And HomeKit integration will also enable these Wemo accessories to be controlled through watchOS and all iterations of the Apple Watch. Legacy Wemo accessories, such as the Wemo Maker (left) and Wemo Insight Smart Switch (right), will inherit HomeKit compatibility once the Wemo Bridge is added to the home network. Image: Digitized House. 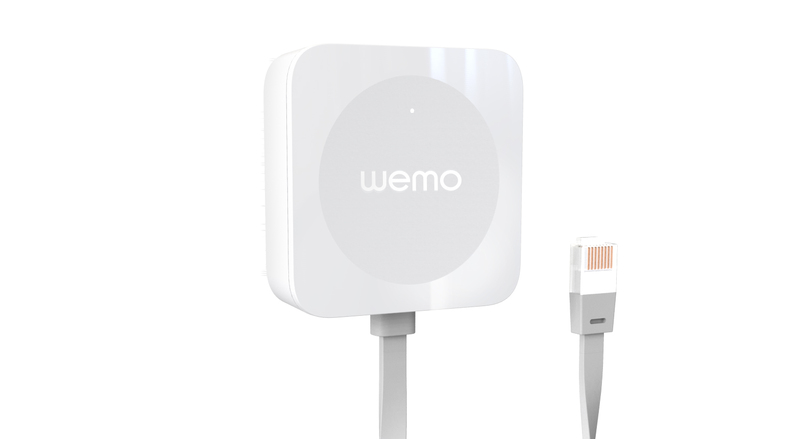 The diminutive Wemo Bridge—just a tad larger than an Apple AirPods charging case—ships with a power adapter and plugs into any available power outlet, and as a wireless device it requires access to the home’s Wi-fi network. Look for a more detailed analysis once we get our hands on a production version of the Bridge.